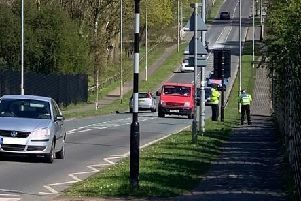 A man was taken to hospital with serious injuries after a crash on the A509 at Wollaston. Emergency services were called at about 1.15am today (Friday) after a HGV went off the road. A spokesman for Northants Police said: “A man was taken to Northampton General Hospital with serious injuries. A tweet from Northants Fire & Rescue Service said they rescued one person from the vehicle. Two crews from Wellingborough, a specialist technical rescue vehicle and a supporting appliance from Mereway attended the incident, as well as East Midlands Ambulance Service.